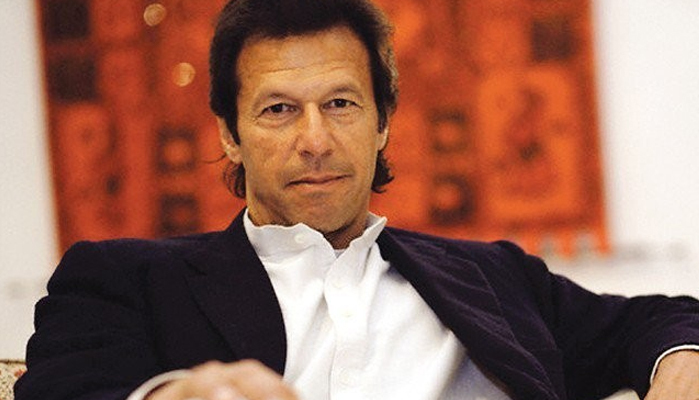 Imran Khan has come a long way since he founded the Pakistan Tehreek-e-Insaf (PTI). But things in Rikhi, a tiny village nestled in the rugged mountains in Mianwali, have barely changed, with Namal College being an exception. The scenic village having population of few thousands, was one of the destinations in his hometown, where Khan's helicopter landed in late 1996 after throwing pamphlets heralding the formation of his political party. As the helicopter hovered over the village to find a suitable place to land in the fields, women climbed on the rooftops of their mud houses and students ran towards the chopper to catch a glimpse of the visitor. "We were taken aback for a moment when we saw Imran Khan among the visitors," said Shakeel Ahmed, a 36 years old man, one of the students, who now works at Karachi Truck Stand at Maripur in Karachi. "As we recovered from the pleasant shock, the group of students surrounded Khan to get his autograph.” "He was such a great cricketer with a dashing personality. We were always proud of him because he belonged to Mianwali". Muhammad Aarfeen, 45, thinks Imran Khan's maiden visit to this village is imprinted on the memory of everyone who saw him on that day. "He is unforgettable. He commands respect, you just can't ignore him"
After giving autographs, Khan then headed to a nearby fueling station located on the main highway leading to Rawalpindi. That’s where he met with Tariq Mehmood, a youngster in his early 20’s whose family owned the station. 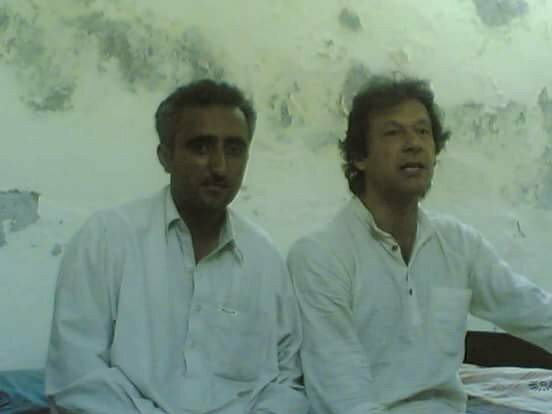 Khan, who was in late 40's, developed a relationship with Tariq Mehmood that is rarely seen between a worker and a party supremo. 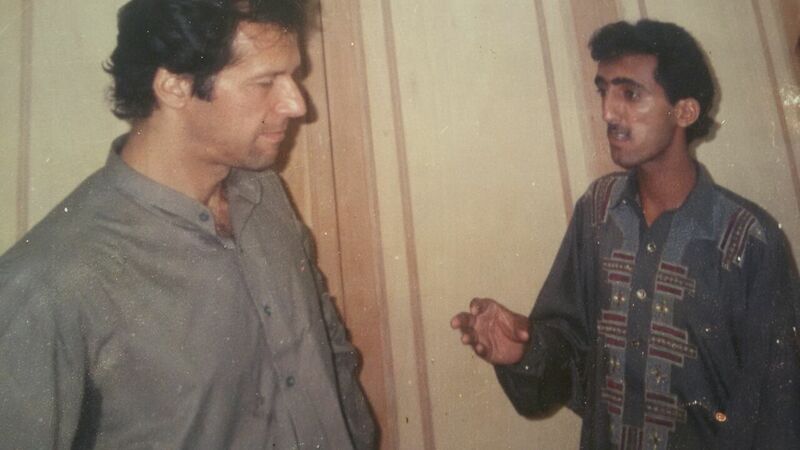 Since then, whenever PTI chairman ran an errand to Mianwali, Tariq's fueling station has remained his first stop. Tariq would arrange food if he was informed beforehand about Khan's visit. "But if he dropped by without any prior intimation, Khan would ask me to arrange whatever was available at the nearby hotel frequented by truckers". "He would even savor daal which we ordered from the hotel. We were immensely impressed with his simplicity and conviction with which he spoke of the change he desired to bring in the country," Tariq recalls. Contrary to the impression that Khan’s critics harbor, in Rikhi, he is not known as an arrogant former cricketer, rather he is loved as a man who never forgets his friends and values loyalty. PTI witnessed a turnaround in its fortunes in 2012 and it became the second largest party after the 2013 general elections. As hundreds of so-called electable jumped on to the PTI bandwagon and political heavyweights became a part of the party, Khan introduced Tariq to Shah Mehmood Qureshi and other bigwigs as a loyal party worker who had stood by him during the last two decades. Khan was often heard saying that Mehmood was the man who floated the idea of establishing the Namal College in the hills of Rikhi. A political party’s leader giving credit for a project as massive as that of Namal College, to a man of little resources and means, was something that further strengthened the love for Imran Khan in the hearts of his supporters in his hometown. Tariq is confident that Imran Khan would bring about change in Pakistan which his party has promised. Unlike his detractors who ridicule him by calling him U-turn Khan, for Tariq, he is a man of honor who keeps his words. 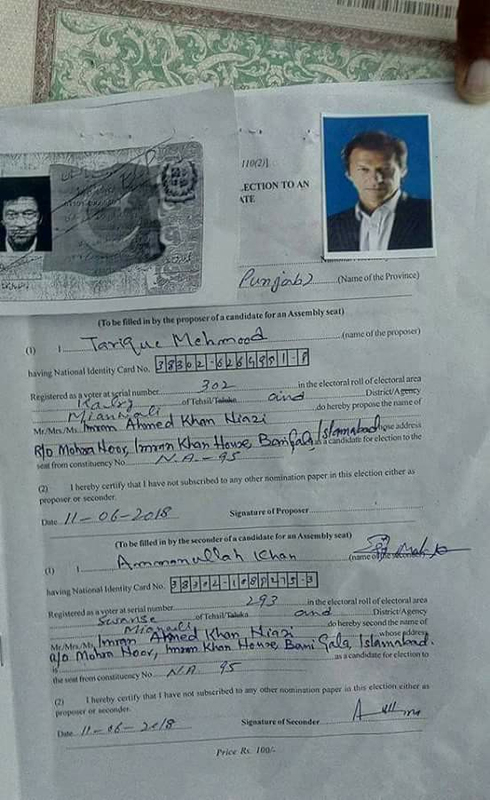 When the PTI submitted nomination papers of Imran Khan for National Assembly constituency NA-95 in Mianwali on Monday, Tariq Mehmood was chosen as the backer of Pakistan Tehreek-e-Insaf chairman’s candidacy.